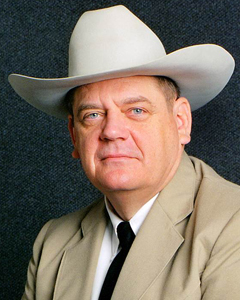 [Editor’s note: As News Director at the time of the action of Texas Ranger Danny Rhea and having know him on a professional level, Rhea was a man of honor who epitomized the legend of the Texas Rangers. Danny Rhea, retired Texas Ranger, died January 20, 2018 in San Angelo, Texas after a lengthy illness. Ranger Rhea was assigned to the Sulphur Springs area where his valorous and professional response in a crisis situation earned him the Texas Ranger Medal of Valor in June 1998. His commendation tells the story: “Awarded in recognition of his valorous and professional response exhibited during a crisis situation where he faced a deranged individual holding what was believed to be an explosive device in a Texas Department of Public Safety building. Rhea served as a Ranger from 1988 to 2003. He had joined the Department of Public Safety in 1976.